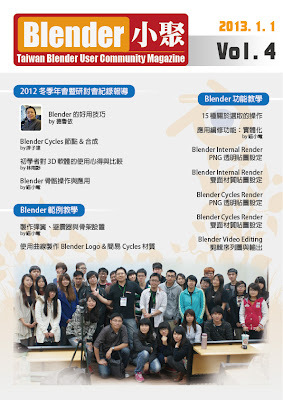 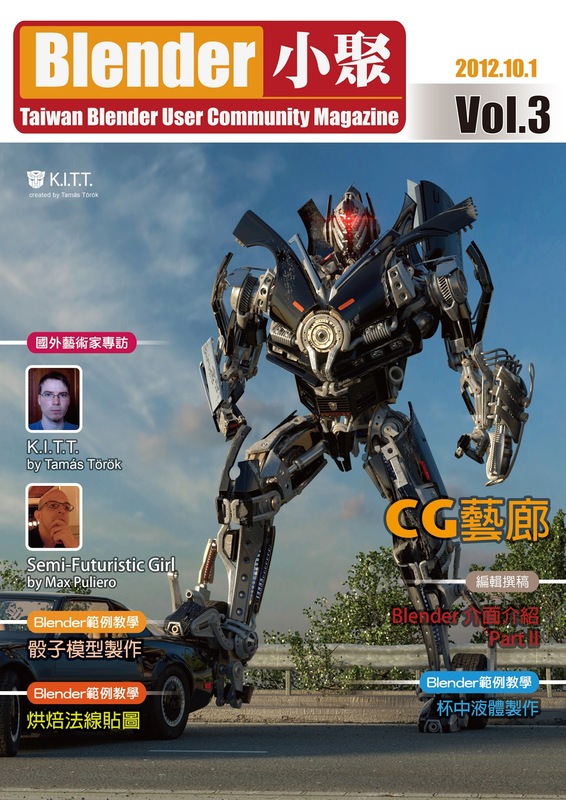 Taiwan Blender User Community Magazine finally have a first contribution, although not more than NT$600 dollars, is a great encouragement for the entire editorial team of Blender enthusiasts, we will adhere to the philosophy continue. Thanks to Hulu Elementary School Principal Qi Lu Zhen and Li Dian-mao teacher. 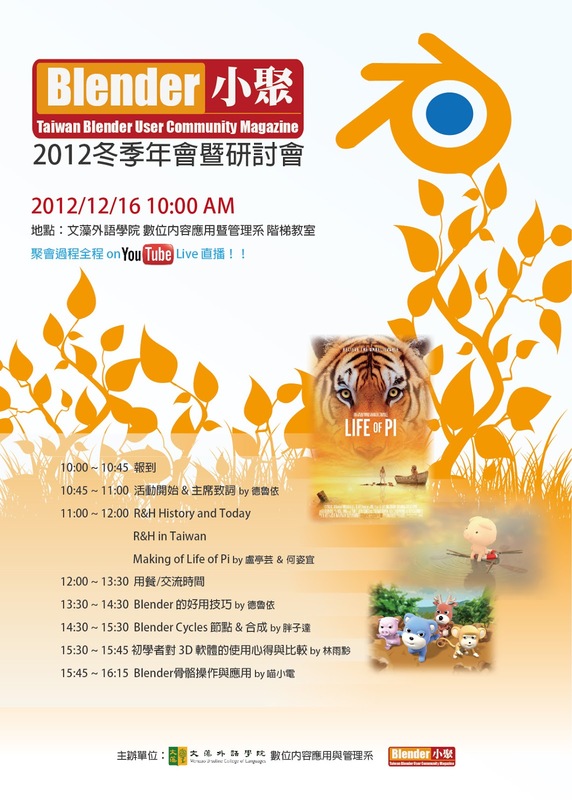 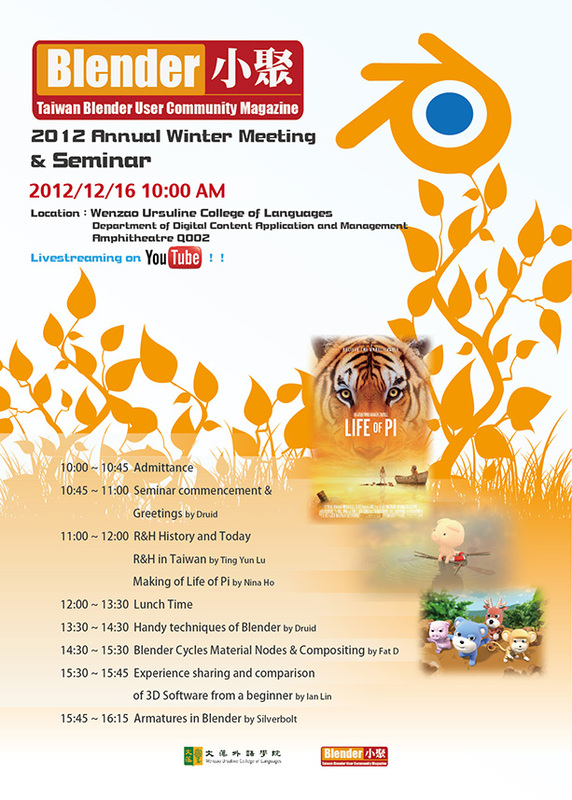 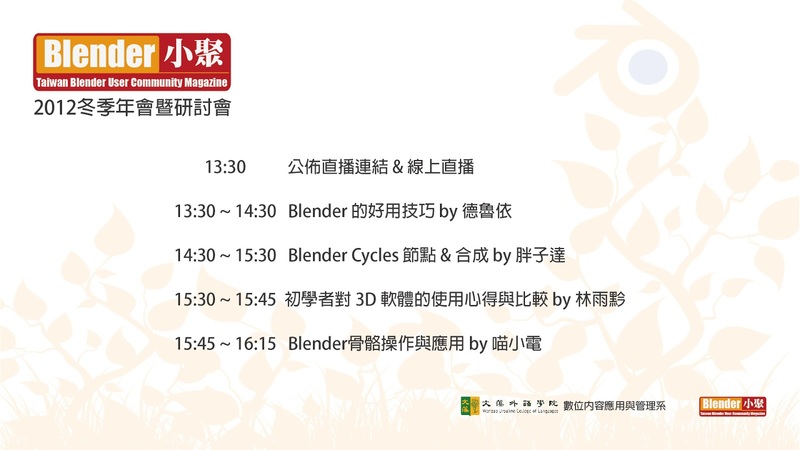 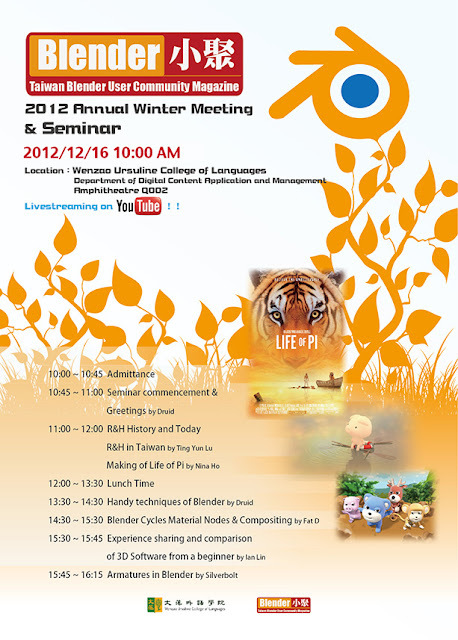 Taiwan Blender User Community in December of this year, at least one-year-old, and hope that through this meeting so that we can recognize each other. 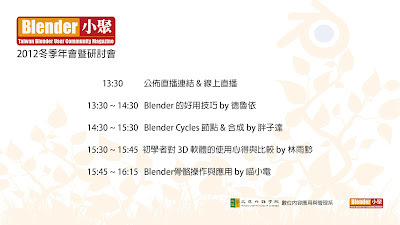 台灣Blender使用者小聚 Taiwan Blender User Community (TBUC). 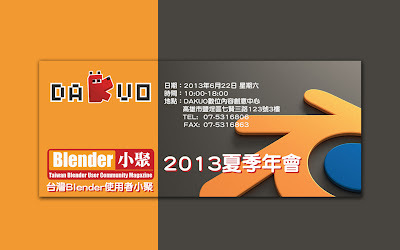 頂尖企業主題. 技術提供：Blogger.